Onsite from Corindi to Bowraville to Dorrigo and everywhere in between. We’re the smart choice for everyone needing their PCs back up and running fast. We can have you operational again in as little as an hour. Our technician will be able to fix software problems and diagnose hardware problems. You don’t have to waste more time packing your computer up to take it to the shop, we’ll take care of it for you. Watch us fix your computer! we’re a family-owned Australian Pty Ltd company based in Coffs Harbour (ABN 69 131 308 775 ). we’re a Microsoft Partner, a Telstra Partner and a Leader Systems Authorised Service Partner. we’ve been fixing PCs for 35 years, so we know what we’re doing.  So you have the protection of dealing with onshore experts who are regulated by Australian law. Every week we help clients who have been tricked into giving scammers access to their computers. We are in frequent contact with the ACCC’s Scamwatch site regarding what we find. Keep yourself safe by reading about common scams on the Scamwatch site. We’re quick to get in touch by phone from our Coffs Harbour office to make an appointment at your convenience wherever you are in Australia. Each repair starts with a phone call, so you’ll get to know us and we’ll get to know you. Video can be on during each remote consultation, so you can see your technician, who’ll explain exactly what they’re doing. Once disconnected (which you can do at any time), your computer is secure. We cannot reconnect again. For a free initial consultation, call us on 02 6653 4438, We’ll let you know how we can help, how long it will take and give you an estimated price. You can read more about our remote Windows PC repair service here. 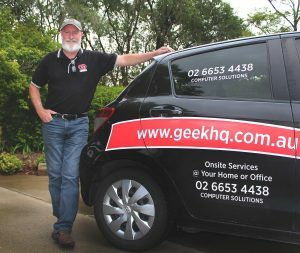 GeekHQ - Australian tech support for your windows computer. Remote Support sessions controlled by you. No Limit on the number of computers we support for you. Fast quality support for all Windows computer issues, majority of problems resolved within an hour. Professional, obliging, patient, didn't make me feel like a lesser being for being so technologically illiterate! Reliable, qualified and prompt service and I haven't had a bad outcome using Chris. Experienced technician, no mucking around. The team are absolutely amazing to deal with and I highly recommend. You are an extremely responsive, expedient and professional business and I wouldn't go anywhere else for this support. Keep up the excellent service. I have used your services on several occasions and every time the problems are solved in an efficient and professional manner at a very realistic cost. Overall great service. It was easy. He worked on my computer while I got on with what I needed to do. I have used GeekHQ twice and have been happy with the service on both occasions. Friendly, helpful and professional technicians and booking staff. You won't be disappointed with Geeks's service. Nothing was a problem. Everything promised was presented, in a very short time frame and in a very professional manner. I was very satisfied - I will certainly utilise Geeks whenever I require computer service and/or advice. we’ll ring you direct as soon as possible. *Accounts with nil balance for 18 months will be closed, the account holder will be notified prior to closure. There is a $5 / month account maintenance fee for accounts with no activity for over 12 months. A $66 cancellation fee will be charged for appointments where you are unable to be contacted or not available at the appointment time, we will try to contact you to meet the scheduled appointment for 30 minutes from the appointment time, after this the appointment will be cancelled. **Please Note: Geekhq provides technical assistance to a large variety of third party products, brands and services. Any use of Trademarks, Brands, Products and Services is referential and Geekhq has no affiliation with any of these third-party companies unless such relationship is expressly specified. The services we offer may also be available on the brand owner’s website.